A Royal Saudi Air Force aircraft has been downed in the Sa'da Province in the northwest of war-torn Yemen, rebels said, cited by local news outlets. 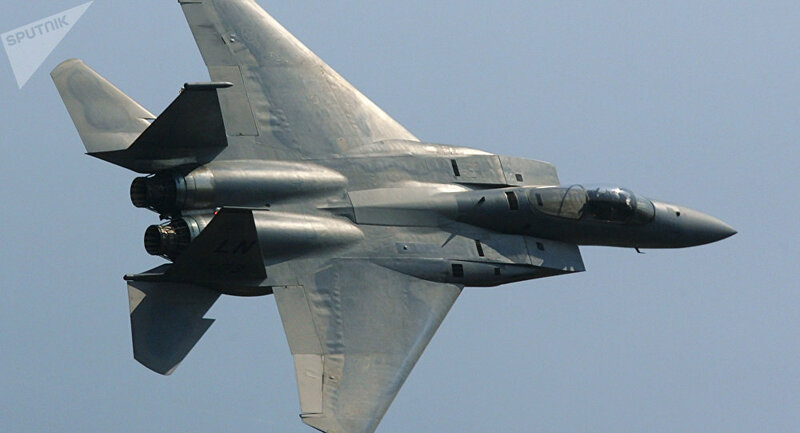 Houthi Rebels claim they have downed a Saudi Arabian F-15 jet, according to al Jazeera. Press TV reported that the aircraft was intercepted and downed by Yemen's air defense forces, backed by fighters from allied Popular Committees. The plane that was reportedly participating in the airstrikes on residential neighborhoods in the Sa'da province was hit by a surface-to-air missile. #عاجل | #الحوثيون يعلنون إصابة مقاتلة تابعة للتحالف العربي من طراز F15 في #صعدة شمالي #اليمن. — الجزيرة مباشر الآن (@ajmurgent) 21 марта 2018 г. Alleged images and a video of the falling plane emerged on Twitter. — Mr. Revinsky (@MrKyruer) 21 марта 2018 г. The bloody conflict in Yemen between the Houthi movement and the government headed by President Abd Rabbuh Mansur Hadi began in 2015. The Saudi-led coalition has launched the air campaign in support of Hadi, carrying out airstrikes in the country. However, the military operation has been condemned by watchdogs over civilian population losses.